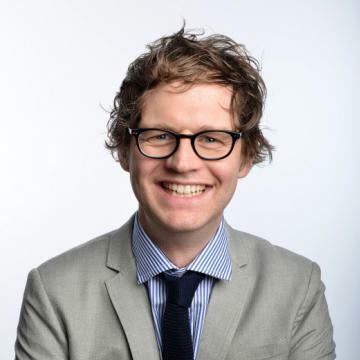 Mark Dolan is a comedian, broadcaster and writer. Best known as the host of Channel 4’s iconic comedy series Balls of Steel, Mark also fronted three hit series of globetrotting documentaries of The World’s …and Me in which he met the most extraordinary people on the planet. Inspired by the hit series, The World’s Most Extraordinary People …and Me was published in 2010 and became a Sunday Times bestseller. A follow-up edition, Do You Mind If I Put My Hand On It was released two years later. Mark’s first big break was as star of The Richard Taylor Interviews, the hidden camera job interview show for Channel 4. He also hosted The Mad Bad Ad Show (Channel 4) with Micky Flanagan as team captain, and for five years presented Sky 1’s flagship film show 35mm. He launched both E4 and More 4, fronting new shows: Show Me The Funny and The Last Word. Mark began his career as a stand-up in 2000, reaching the final of the competition So You Think You’re Funny. Since then he has performed stand-up all over the world, delighting audiences with his quirky humour and onstage charm. He has appeared for ten years at the Edinburgh Fringe Festival and with many successful solo shows. In 2014 Mark appeared on a 4Short show, Taxi Gags. Later that year, he showed off his cooking skills by winning won Come Dine With Me Celebrity Christmas Special for Channel 4. He then took the challenge of co-hosting the comedy panel show If Katie Hopkins Ruled The World for TLC. Mark presented a daily show on Fubar Radio, Mark Dolan Eats the News. He has guest contributed on LBC’s Breakfast Show and co-hosted on The Saturday Show for Channel 5. 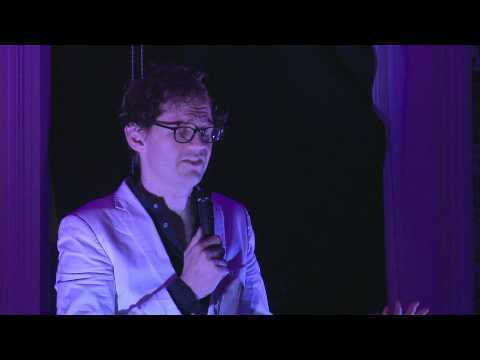 This year he returned to the world of documentaries, recording an exclusive US series for Audible, Mark Dolan’s VIP Lounge. He also competed in Channel 4’s The Jump. Other recent TV credits include Urban Legends, The Cars That Made Britain Great and The Best Of Bad TV for Channel 5 and TV’s Greatest Detectives for Channel 4. Mark’s is a charming, intelligent and witty host, bringing a wealth of experience and professionalism to any corporate event. A HUGE thank you…we have had great feedback from all the guests about what a great night it was and an amazing host. Your preparation, diligence and courtesy to the guests was par-excellence. You hit exactly the right notes and the Q&A was spot on. The awards event went very well and Mark was a great host. We enjoyed his comedy set and hosting, and it was great that he joined us for the meal; it felt like he really took part. Such a very nice person. Thank you Mark for presenting this year’s Sussex Business Awards – a charming, witty host, bringing a wealth of experience and professionalism to the event! Mark did a grand job last night…he charmed everyone and they were very pleased. We absolutely loved having Mark host for us. He was incredibly professional and utterly charming. One guest remarked on how ‘kind’ he was as well, as he took the time to chat to all the various people who came up on stage throughout the night. Please do give Mark our warmest thanks for giving up his evening to support Marie Curie. We would be honoured to work with him again in the future. Mark did a fantastic job, everyone really enjoyed it and I had many comments back about what a great act it was. The event was amazing and a complete success ? I only wish I could book Mark for every event I do. He is an absolute pleasure to work with ? engaged totally with the guests and so very lovely. He did a brilliant set which was bespoke to the guests and it went down a storm. Mark was an absolute hit, thank you. He worked the spirited audience very well with an excellent comedy piece before the awards and made a real difference throughout. You are quite right, he is a really top chap. Mark was a great choice, the audience had a great reaction and everyone was laughing. He’s an absolute delight to work with and great fun! Mark did a fantastic job – he was a great host and remained in control of the debate throughout, managing each speaker?s allotted time and engaging with the audience when the debate was opened to the floor. He had obviously spent time preparing for the debate and this, coupled with his extensive film knowledge, made him the perfect host for this event. The crowd response to him was really great too ? everyone we spoke to in the audience loved him and found him very funny! Just wanted to pass on our thanks to Mark for Thursday, he was absolutely brilliant we couldn?t have asked for any better, just what we wanted. It was a great evening, big success, so thank you both for helping us bring it together. I just wanted to say thank you one more time for a great job last night. You were a total star! As promised, I will be definitely recommending you to all my colleagues and I am certain that I will find another event of mine for you to host in the not too distant future. Mark was extremely professional, polite and friendly. He arrived promptly and was well prepared, he even took the time with me to make sure his speech was worded correctly and that he was going to pronounce staff members names correctly. There was no real “celeb” status he was very down to earth and a pleasure to be around.? 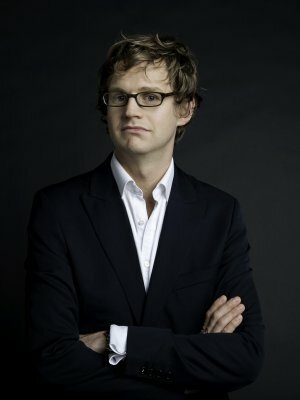 Mark Dolan was a dream to work with, absolutely fantastic from start to finish. From the minute he arrived to the very end Mark fully embraced the event with his charm and professional wisdom. On stage Mark captured the Pimm?s theme perfectly with a seamless and effortless comic flow throughout which extended off stage with his constant personal interaction embracing the entire occasion including all the guests, staff and crew. Mark did a great job and received some very positive feedback from our guests.